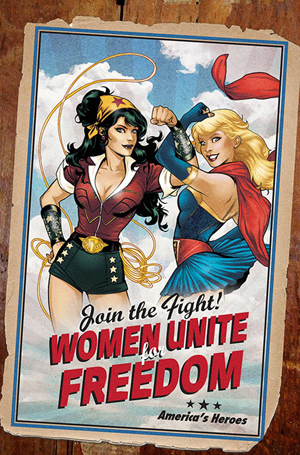 DYNAMIC FORCES® - SUPERMAN WONDER WOMAN #9 BOMBSHELLS VARIANT CGC GRADED 9.8! SUPERMAN WONDER WOMAN #9 BOMBSHELLS VARIANT CGC GRADED 9.8! Superman: DOOMED continues with "ENEMY OF THE STATE" As things get more dire on Earth for him, the Man of Steel may have to go into exile in space, but the self-proclaimed protectors of Sector 2814, the Red Lanterns, don't want him there either! Don't miss this deadly face-off between Kal and Kara! DARK KNIGHT III: THE MASTER RACE #1 BLANK VARIANT SIGNED & REMARKED WITH A SUPERMAN LOGO BY KEN HAESER!